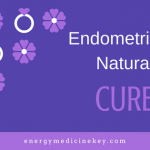 When you are searching for an endometriosis natural cure, you may have found a plethora of information around what foods you should eat, what herbs and other supplements you could take, or perhaps you have ventured into homeopathy or essential oils. 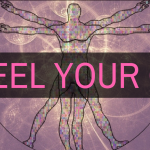 But all too often, most of these things fall short of your hopeful expectations that you will find relief from this chronic disease. Read on to find out why. My endometriosis story began back in 2004 when I was 26 years old. This was when I was officially diagnosed with laparoscopic surgery. But my symptoms began way before this-they started when I was in high school where I thought having severe period pain was a normal part of being female and I assumed everyone got it. I could not get by without anti inflammatory medication at the time of my periods and the pain and symptoms got worse and worse as I got older until they reached a head one day when I thought I had appendicitis. I was in so much pain I could barely move. I went to the doctor who immediately knew something was not right. She sent me off to get an internal ultra sound which confirmed I had large cysts on my ovaries.